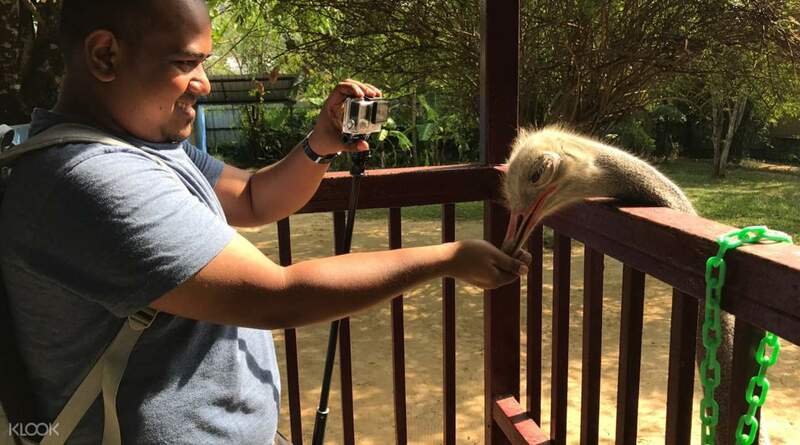 Enjoy a day surrounded by Malaysia's unique flora and fauna at Langkawi Wildlife Park! Friendly staff and an unforgettable experience! Advise to get own rental car as it is hard to get cab or grab due to location. 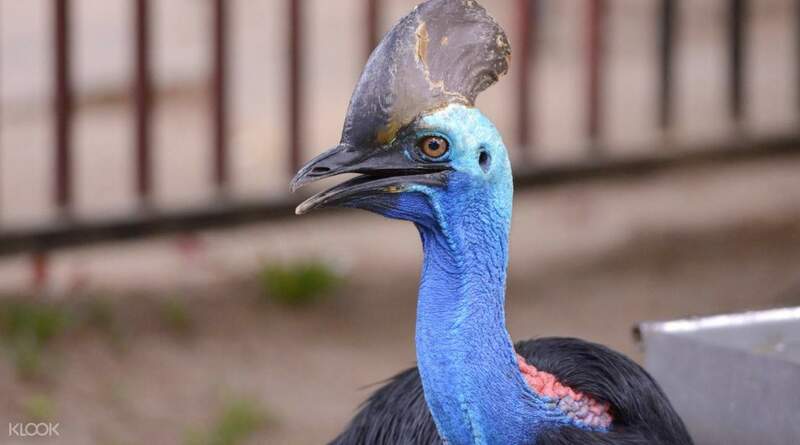 Surround yourself with the stunning beauty of Malaysia's unique flora and fauna with a visit to Langkawi Wildlife Park, the first fully-covered wildlife park in Asia. With its lush vegetation and more than 150 different animal species inside, this is a must-visit for all animal lovers and nature buffs! Take photos of the colorful birds in their natural habitat, including the stunning macaws with their distinctive coloration, or the pink flamingos that are known to make funny poses throughout the day. See various mammals playing around with their buddies, such as adorable rabbits and guinea pigs, cuddly white raccoons, and even some bearcats! 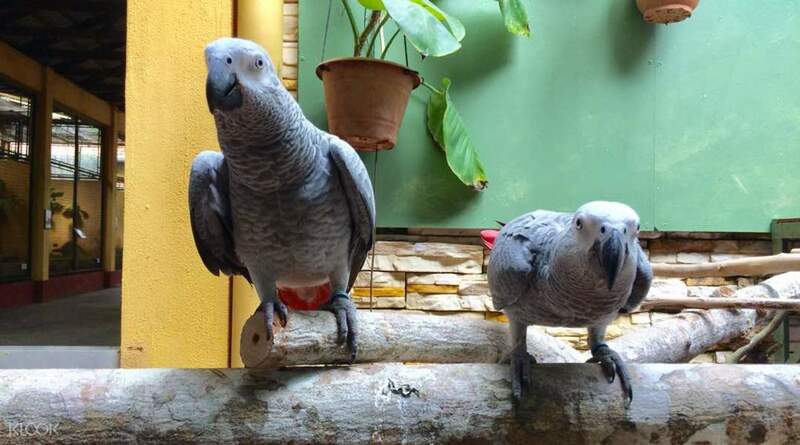 If you want to get up close and personal with the animals, you can buy a bag of feed and give them little treats (insider tip: the macaws just love the sunflower seeds and peanuts, so make sure to give these to them if you want to take great photos!) 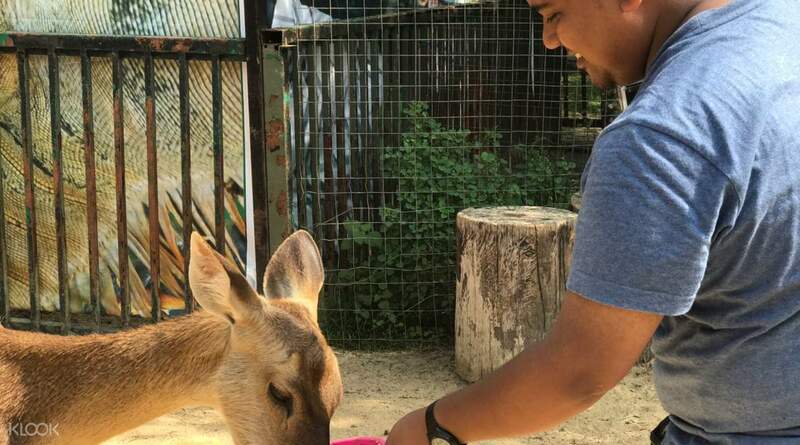 Langkawi Wildlife Park also has a variety of programs that introduce you to the animals, like feeding shows and even a hilarious animal talk show, as well as a cafe that's perfect if you get hungry in the middle of the day. Make sure to stop by the shopping area to pick up some awesome souvenirs before you leave the park! Get up close and personal with the animals by purchasing a bag of feed and giving them their favorite treats! 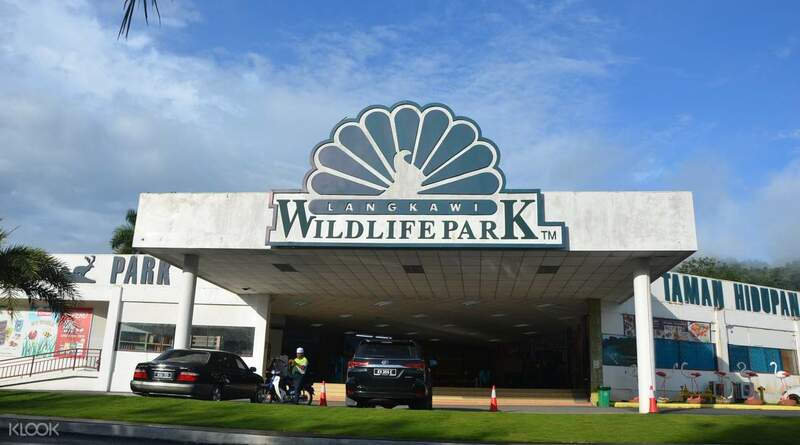 Langkawi Wildlife Park has a variety of amenities, including the Brahminy Kite Cafe and even a shopping area! Make sure to catch the various programs inside the park, including feeding and even an animal talk show! It's a nice place and well maintained. The staff was friendly and approachable. 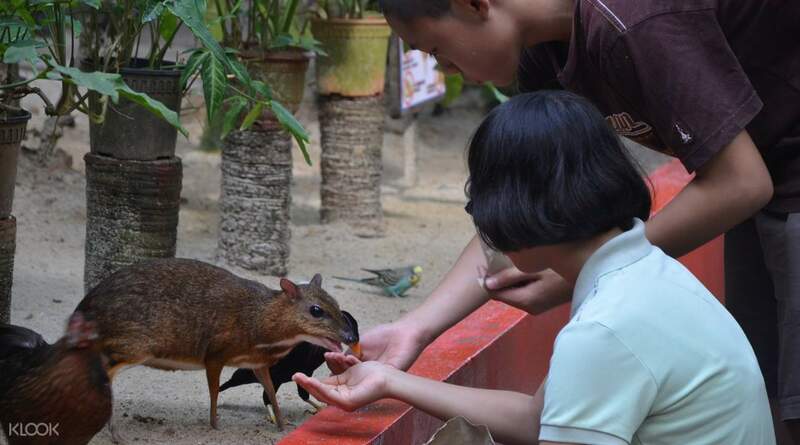 Kids definitely love it and enjoyed especially during animals feeding session. Only that d souvenirs at high price, but its an option for u to buy or not. It's a nice place and well maintained. The staff was friendly and approachable. Kids definitely love it and enjoyed especially during animals feeding session. Only that d souvenirs at high price, but its an option for u to buy or not. My family enjoyed the trip. I think the park is clean and well managed. Worth the visit compared to the underwater world. My family enjoyed the trip. I think the park is clean and well managed. Worth the visit compared to the underwater world. It was OK. You can't feed a lot of animals now. Used to be able to feed more animals. But the baby racoon was nice, though I felt it was a torture to the little fella. It was OK. You can't feed a lot of animals now. Used to be able to feed more animals. But the baby racoon was nice, though I felt it was a torture to the little fella. That’s awesome! We had very great experience and enjoyable trip in wild life park langkawi ! The staff here extremely friendly and super helpful .. although is a raining day .. however , it doesn’t stop our excitement .. this is a MUST trip when you visit langkawi. We will be coming back again !! Thanks again for all the staffs in wildlife park langkawi, you guys are awesome ! That’s awesome! We had very great experience and enjoyable trip in wild life park langkawi ! The staff here extremely friendly and super helpful .. although is a raining day .. however , it doesn’t stop our excitement .. this is a MUST trip when you visit langkawi. We will be coming back again !! Thanks again for all the staffs in wildlife park langkawi, you guys are awesome ! Kids had a fun time learning about the animals and feeding them. There are feeding times and shows. The place is clean, very well taken care and does not smell unpleasant. Overall, an enjoyable place!! Kids had a fun time learning about the animals and feeding them. There are feeding times and shows. The place is clean, very well taken care and does not smell unpleasant. Overall, an enjoyable place!! Klook never fails me.. i always book with them and its so fast and easy. This is my first time in Langkawi Wildlife and i will surely go back and recommend it to my family and friends. The staff was able to find my reservation immediately ans it just took me less than 5mins to get my ticket. Staffs are very friendly too, they guide us and make sure that we will have the best experience ever. My daughter really enjoyed it a lot and sooooo Thank you! Klook never fails me.. i always book with them and its so fast and easy. This is my first time in Langkawi Wildlife and i will surely go back and recommend it to my family and friends. The staff was able to find my reservation immediately ans it just took me less than 5mins to get my ticket. Staffs are very friendly too, they guide us and make sure that we will have the best experience ever. My daughter really enjoyed it a lot and sooooo Thank you! We went to Langkawi Wildlife Park on our 1st day.The park is fully covered walkway. Over here you can enjoy the wildlife up close. You will be able to see exotic birds from 150 species, such as canaries, owls, eagles, toucans, hornbills, flamingos and many more. Worth visiting. We went to Langkawi Wildlife Park on our 1st day.The park is fully covered walkway. Over here you can enjoy the wildlife up close. You will be able to see exotic birds from 150 species, such as canaries, owls, eagles, toucans, hornbills, flamingos and many more. Worth visiting. Much smaller than I thought, only need 1.5hrs or less to see everything. Most disappointing is the shows are so unclear and disorganized. The timing is bad and location is not clear. Photos and merchandise super expensive. Feeding times not clear and can’t really walk backwards once you’ve moved forward. Much smaller than I thought, only need 1.5hrs or less to see everything. Most disappointing is the shows are so unclear and disorganized. The timing is bad and location is not clear. Photos and merchandise super expensive. Feeding times not clear and can’t really walk backwards once you’ve moved forward.